Dr. Anish K Gupta has been the overseeing physician at Centre for Urology and Andrology for the last 5 years. He’s a fierce proponent of men’s health and has dedicated himself to not only treating patients but also educating them about the issues affecting their quality of life. Dr. Gupta is personally involved in the training and development of all the staff at North Delhi Nursing Home to ensure that every patient receives the highest level of care in the industry. Dr. Gupta has special interest in Endo- urology, Pediatric Urology, Andrology and Uro – Oncology. He is trained in both, Uro- Oncology and Pediatric Urology from World Famous Centres. We take pride in serving you at North Delhi Nursing Home, an establishes secondary care private centre in North Delhi region. Aug 2004 July 2005: House Officer, Deen Dayal Upadhyaya Hospital New Delhi, India. Mohan A, Gupta AK. A review of the utility of PSA in Cancer Prostate. Ind Jur Surgical Oncology; 3(2): 120 -129. Quality Control in Healthcare Is Six Sigma the Answer? at Conference on Healthcare 2010: Excellence in Patient Care, 19th February, 2010. CII Northern Region Headquarters, Chandigarh. First Prize for Primary Prostatic NHL Bangalore Medical College Postgraduate Poster presentation at 17th Karnataka Urology Association Conference, 2012. Gulbarga, Karnataka. Best Presenter in Davangere Postgraduate Symposium, at 16th Karnataka Urology Association Conference, 2011. Manipal, Karnataka. Placed 7th in MS Surgery examination conducted by Rajiv Gandhi University of Health Sciences, Karnataka in June, 2009. Secured highest marks in MS Surgery in MMCRI, Mysore. 2009. Mysore Surgical Society Best PG Paper Award, 2009. Drains in Thyroidectomy at 27th KSC ASI South Zone Conference, 2009. Bangalore. 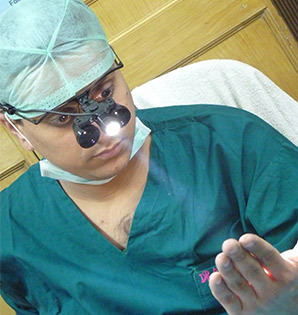 K S Shekar Surgical Quiz (Karnataka Level), 2008. Runner Up. Invited Member, Editorial Board, KMC Student Council, 2002-03. 16th IAP Pediatric Quiz, 2003. First in College round and Divisional round. Runner Up in Karnataka State Round. Second Runner Up in South Zone Round. LUTS, Diabetes and Dyslipidemia Is there a Correlation? Prize Paper Presentation at 47th Annual Conference of the Urological Society of India, 2014, Delhi. Robotic Radical-Cystoprostectomy with Total Intracorporeal Neobladder formation Video Presentation at 23rd North Zone USICON, Nov 2013, Chandigarh. Xanthogranulomatous Inflammation – Unusual cause of Scrotal Abscess Moderated Poster at 46th Annual Conference of the Urological Society of India, 2013. Pune, Maharashtra. Primary Prostatic NHL Moderated Poster at 46th Annual Conference of the Urological Society of India, 2013. Pune, Maharashtra. Paratesticular Tumors Poster presentation at 17th Karnataka Urology Association Conference, 2012. Gulbarga, Karnataka. Primary Prostatic NHL Bangalore Medical College Postgraduate Poster presentation at 17th Karnataka Urology Association Conference, 2012. Gulbarga, Karnataka. Adult Wilms Tumor Unmoderated Poster at 45th Annual Conference of the Urological Society of India, 2012. Bangalore, Karnataka. Anatomy, Physiology and Physical Considerations of Intestines for Diversion in Davangere Postgraduate Symposium, at 16th Karnataka Urology Association Conference, 2011. Manipal, Karnataka. Nephron Sparing Surgery: State of the Art Management of Renal Cell Carcinoma Surgical Society of Bangalore, August, 2011. Bangalore, Karnataka. Six Sigma in Urology at 44th Annual Conference of the Urology Society of India, 2011. Kolkata, West Bengal. Debater: Management of Upper Ureteral Calculi – In favor of Rigid Uretroscopy at 15th Karnataka Urology Association Conference, 2010. Bijapur, Karnataka. Six Sigma and Healthcare at International Conference on Health Care Market and Emerging Consumers Innovation, Efficiency and Effectiveness, 2010. Manipal, Karnataka. Six Sigma The Changing Mindset of Surgeons at 69th Association of Surgeons of India Annual Conference, 2009. Coimbatore, Tamil Nadu. Drains in Thyroidectomy at 27th KSC ASI South Zone Conference, 2009. Bangalore, Karnataka.